Browsing Category: Z Airbrush Products Displaying 1-9 of 9 Found. 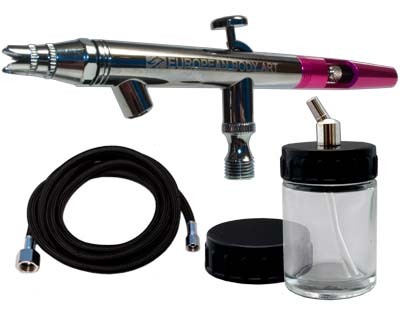 $115.00 EBA Epic DAB Airbrush is a bottom feed, high-paint-flow, high-detail double action, internal mix airbrush. 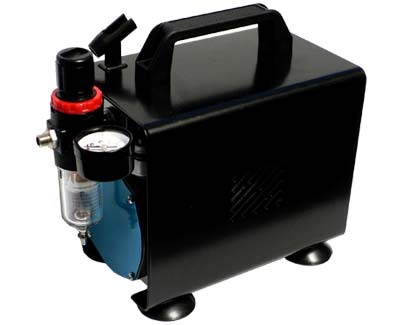 EBA airbrush is equipped with an exclusive trigger mechanism consisting of one piece only. No more hinges, loose parts and extra time spent assembling and disassembling the trigger mechanism. The nozzle cap comes in a new and innovative shape, The Crown. While The Crown protects the needle it also prevents paint from adhering to the inside of the cap and eventually clogging the airbrush. The crown needle cap can be removed at any time to allow for extra fine hair line detail when required. EBA Epic DAB Airbrush cutaway handle is a special feature that allows fast free up of paint clogs without having to remove the handle and the needle. 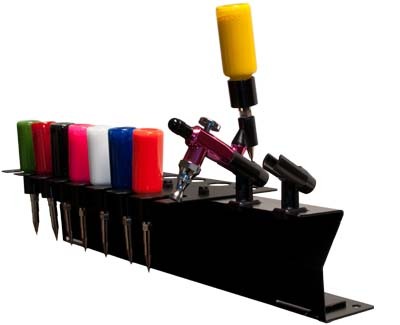 All EBA airbrushes are available with EBA exclusive color coordinated handle technology allowing artists to rapidly switch between colors. The EBA Epic DAB 0.5mm airbrush has established a new standard for excellence in all-purpose airbrush line. 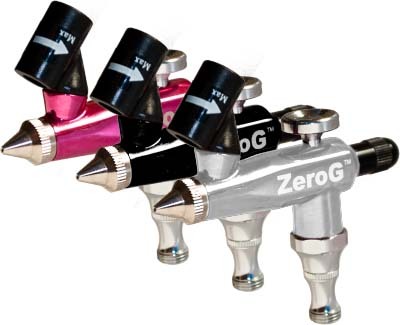 $190.00 Introducing the all new ZeroG Airbrush. This state of the art airbrush features patent pending technology that revolutionizes the airbrush industry. 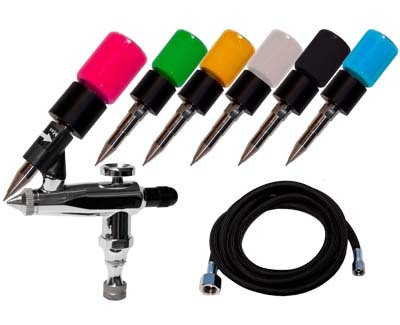 This airbrush color system is offered exclusively by European Body Art. Zero Cleaning: This is possible due to the fact that paint never comes in contact with the airbrush. Furthermore, the color cartridges are airtight so there is no cleaning necessary, allowing you to save time and labor. Zero Flushing: Because the paint is externally fed, the ZeroG allows the user to switch between colors and different makeup media, instantly, without any flushing. Zero Clogging: The ZeroG offers a fast and efficient system without any clogging. 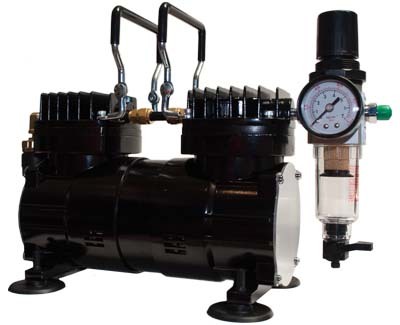 The nozzle and needle assembly is designed to keep the air from entering the cartridge eliminating the ability for the paint to dry and clog.